It's funny how one book can lead to another. 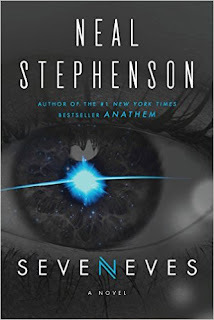 I'm not a huge scifi fan, but I read a lot of books Wayne buys for his Kindle and puts in our shared family library. 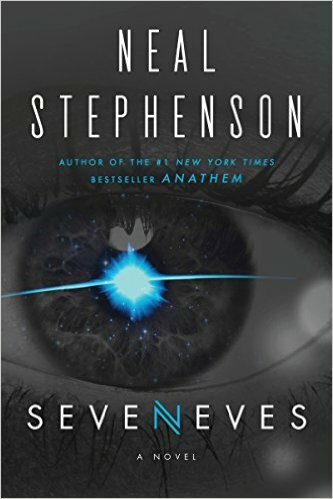 Seveneves by Neal Stephenson is a novel about the breakup of the moon and how it lead to debris demolishing the earth in a Hard Rain. Humankind takes to the skies in a Cloud Arc of small spaceships to save the race and digital DNA of plants and animals. To wait out the thousands of years needed for earth to stabilize, the space colony builds a ship to salvage an asteroid needed for water and fuel. The ship was named the New Caird after the boat used by Sir Ernest Shackleton to escape the Antarctic in the early 1900's. Upon return to the space colony, the asteroid was merged with the remains of the space station and renamed the Endurance after Shackleton Antarctic exploration ship. I not only enjoyed this book about a possible future, but my interest in Shackleton's experience was peaked. 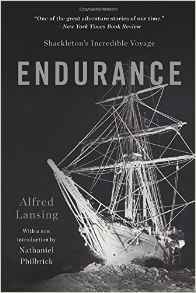 Endurance by Alfred Lansing was originally published by Carroll and Graf Publishers, Inc. (New York) in 1959. It's now available as a reprint by Basic Books or on Kindle. I found mine used at Cozy Corner Books in Coffee in Bellingham. In 1914 during the age of exploration on earth, Sir Ernest Shackleton lead the Trans Antarctic Expedition. Both the North and South Poles had already been reached, so Shackleton proposed crossing the Antarctic continent as the next adventurous goal to be reached. His ship, the Endurance, carried the captain and a crew of twenty-eight. Due to heavy ice, they never made it to shore. They subsequently lost the ship to crushing ice in the Weddel Sea. In all, it was a two year story of true endurance to survive on ice floes, cross dangerous Arctic seas, and land on barren Elephant Island. Shackleton sailed the 22.5-foot James Caird 650 nautical miles away to a whaling station on South Georgia Island in a last ditch effort for rescue before starvation. It's an epic story of adventure, perseverance, struggle, leadership, and survival. Amazingly, through all of the struggle, the captain and many crew members kept journals recounting the struggles. These were made available to Lansing and became a primary source for his account. So the past and a scifi future come together. Both were about true adventurers who took the chances needed for ultimate rescue and survival. I recommend both books for your reading pleasure and enlightenment. I do like science fiction but I'll admit I love to watch it even more. It sounds like a great book.